HOLMARC DAC216 series Autocollimators are PC based instruments which are designed to operate in the lab as well as in a machine shop environment. No external controller is required. The standard interface is a single USB connection for power input and data output. DAC216 series Autocollimators are high-precision dual axis angle measurement system that utilizes digital imaging technologies to measure the two angular positions relative to the reflective surface. Their exceptional accuracy and high resolution make them suitable for applications including the calibration of rotary tables, verification of angle standards and for remote or long term angular monitoring operations. The main applications are in calibration laboratories, optics labs, opto-elecronic laboratories and productions, laser based industries, space laboratories, etc. The DAC216 series Autocollimator can be operated with a remote computer or as a stand-alone instrument. Stand-alone unit utilizes a compact tablet PC for displaying accurate deflection of reflective mirror. The tablet pc is also loaded with the fully featured software which provides graphical output of measurements and complete set of functions for the instrument setup, alignment and measurement in addition to other useful functions and information. 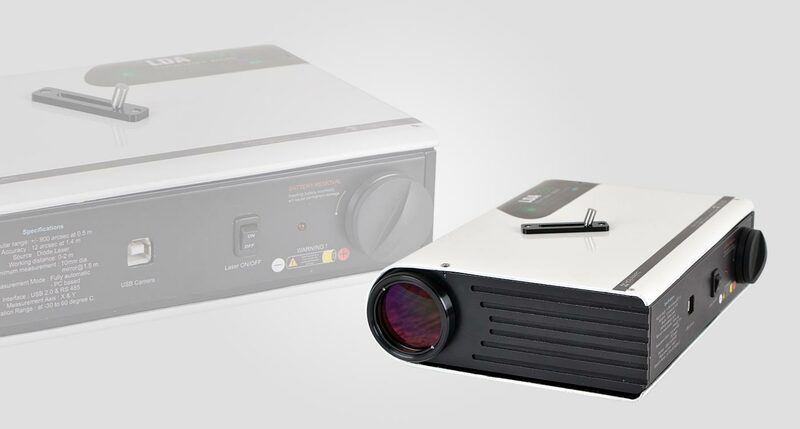 Resolution of DAC216 series autocollimator starts from 0.16 arc-seconds in both X & Y axes with a system accuracy of ±0.16 arc-seconds at close range and ±0.32 seconds in overall range. As always, all of our products can be customized to fit your specific application. All models come with two axis tilting platform, target mirror and DAC software. Two axis tilting platform is a three point mounting system which establishes a planar reference. A leveling base provides 3 dimensional adjustment control which allows fine adjustment in azimuth and elevation in the range of ±4º and ±1º roll adjustment. Faster measuring autocollimators are used for applications such as scanning the angular changes of devices or assemblies using a reflector. Rate of Measurements 120 fps.